Categories: 2014 Reads, Book Reviews, Favorite Books, Reading Challenge | Tags: 2014 Aussie Author Challenge, Australia, Australian authors, Books set in Australia, Great Books, historical fiction, M.L. Stedman, Recommended Books, The Light Between Oceans | Permalink. Categories: 2014 Reads, Book Reviews, Reading Challenge | Tags: 2014 MIA Reading Challenge, Book To Movie Challenge 2014, Book-To-Movie Challenge, British Literature, Contemporary Fiction, Enduring Love, England, Good Books, Ian McEwan, United Kingdom | Permalink. My first encounter with a story book set in Australia was in secondary one. Our English teacher asked us to read Walkabout by James Vance Marshall. Before that most of what I know about Australia revolved around kangaroos, koala bears and the Sydney Opera House. Yes, I wasn’t a very good reader before – I stuck to authors and titles familiar to me (R.L. Stine, Carolyn Keene, Roald Dahl, Stephen King, etc.). My English teacher changed that. My goal for this year is to be a more ‘diverse’ reader and a better armchair traveler. When I saw the 2014 Aussie Author Challenge over at Booklover Book Reviews, I was quite hesitant to join as I’ve already signed up for quite a few reading challenges this year. I was thinking over it last night and thought why not? I’ve been making good progress with the other challenges and I’ve already read a few great books from Australian authors last year (Markus Zusak’s The Book Thief and Graeme Simsion’s The Rosie Project). Plus I have a few books written by Australian authors in my TBR list this year. I’m sure there’s a participation level that will suit everyone who is interested to join. I’m signing up for WALLABY which means I need to read 3 books written by Australian authors. You can read more about the challenge in the dedicated page which you can visit here. If you are clueless about which books to read, there’s a list in that post too, under “Useful Resources”. If you’re interested, please check out the dedicated page for the challenge. 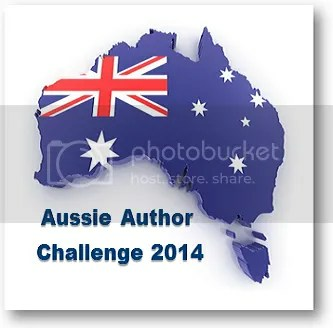 Categories: Reading Challenge | Tags: 2014 Aussie Author Challenge, Australia | Permalink. 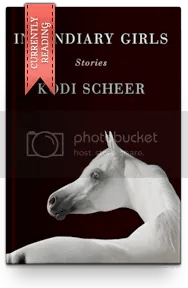 Categories: 2014 Reads, Book Reviews, Reading Challenge | Tags: 2014 TBR Pile Challenge, Aruba, Book To Movie Challenge 2014, France, Kim Edwards, The Memory Keeper's Daughter, USA | Permalink.